This post has been sponsored by Tourmaline Books: Award-winning epic fantasy ebook, At The Walls Of Galbrieth @ $0.99 only until Sunday – http://wp.me/p1Xaeb-fS – It Was 99 Cents! 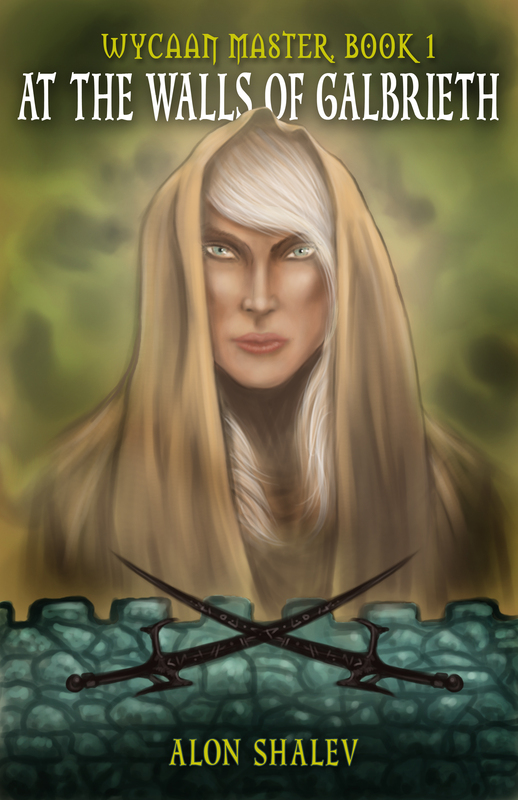 Interviewer: I would like to introduce Chamerak, an elf who appears in At The Walls Of Galbrieth, the first Wycaan Master novel by Alon Shalev. Welcome, sir, and thank you for agreeing to the interview. Interviewer: Receptive? Can you explain? Chamerak: Once, long before you and I were born, a council that had representation from all the four races ruled the land of Odessiya. Eventually, humans broke from this coalition when they were discovered to have large colonies of slaves mining rich lands beyond our boundaries. Most of those who were slaves then were dwarves, and the dwarves here insisted they stop. Slavery was not tolerated in Odessiya. There were the rich and the poor, to be sure, but every individual, regardless of race, had inherent rights. Chamerak: As well as large colonies of slaves, these humans had built huge armies too. There was a series of battles, culminating in one great battle. That was our most tragic moment. The elven leaders had tried to broker between the humans and dwarves, though we were clearly on the side of the latter. Still, we had helped to find a diplomatic solution as we had for centuries since the great council had begun. We spread our leaders too thinly and when the battles joined, our people were massacred. The humans won a decisive battle, the powers of the Emperor and his cronies were revealed. The dwarves, what were left of them, disappeared deep underground, and my people became a slave nation. Chamerak: Yes. Those in the cities lived under total servitude. Others found refuge living in remoter villages, where they paid for their restricted freedom with crushing taxes that prevented them ever moving above the strain of poverty. Humans often came to have sport ­­– there were those who collected our pointed ears as trophies – or take if they wanted food or worse. Interviewer: And all humans were like this? Chamerak: Generally, yes. After a few generations, it became normal for them. They knew little else and were indoctrinated from birth to look down on us as an inferior race. But there were a few who were not like that. In At The Walls Of Galbrieth, you will meet Uncle. 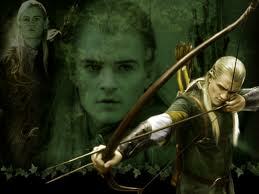 He led a band of elves into the great forests, to live as freeborn and help other elves escape. Not long after I joined his band, we captured some humans. They did not fight us, but neither did they cower. We took them prisoners and a strange dynamic happened. Interviewer: What did this Uncle discover? Chamerak: That not all humans were bad. That in the same way they had stereotyped us as stupid, inferior, lazy, unhygienic, etc., we too had stereotyped them as one type of human: violent, power-hungry, racist, you know. Chamerak: Uncle invited them to join us. We kept them in a separate camp for a long time. But eventually, as trust grew between us, we became one band. Word spread of our mixed group and others sought us out. Other groups formed, including some who were committed to teaching rather than fighting. Gradually, the old stories were told and there was an awakening of an older conscious. It is, I believe, what brought the Wycaans back into our histories, and what facilitated the coming of the Wycaan Master. Chamerak: These are early days and it is better not to reveal too much. 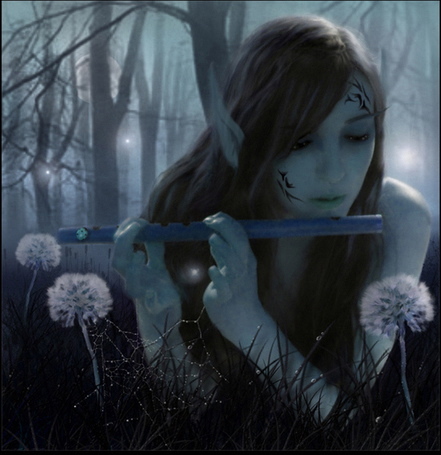 Wycaans are not just elves, but can be from any race. They can be male or female. You have made assumptions. Chamerak: Assumptions are dangerous thoughts. They are what brought us to the racist society we live in. But there is hope. Chamerak: As long as the stories are being told, the narrative is being formed. It will be challenged and evolve and, hopefully, change for the better. It is the power of the books.